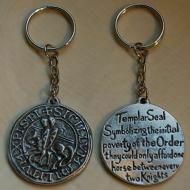 Our range of solid pewter keyrings with antiqued finish are the perfect gift for the Mason or Templar in your life. They are hand-made in England from lead-free pewter. 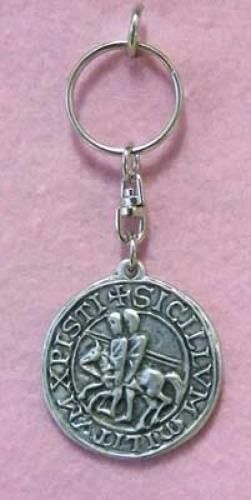 Inscribed on the back of the seal are the words “Templar Seal symbolizing the initial poverty of the order they could only afford one horse between every two knights”.